After Germany invaded Belgium during the First World War, huge numbers of Belgians fled the country, with 250,000 of these people settling in the UK for the duration of the war. In some places purpose-built villages were created to house them. After the war finished the British government encouraged these refugees to return to Belgium and over 90% of the refugees had left the country a year after the end of the war. 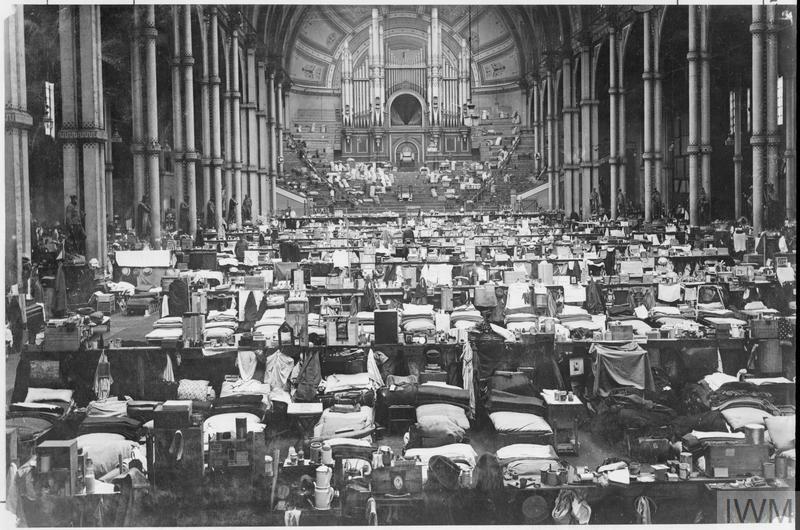 This photo shows sleeping quarters which were set up in the Great Hall at Alexandra Palace, London to temporarily accommodate Belgian refugees during the First World War.